Mysore, to be in Kannada. 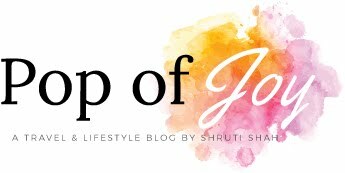 I'm not sure whether this heading is what I should be putting up - considering that I have another option ready at the tip of my fingers - 'A weekend in Mysore'. 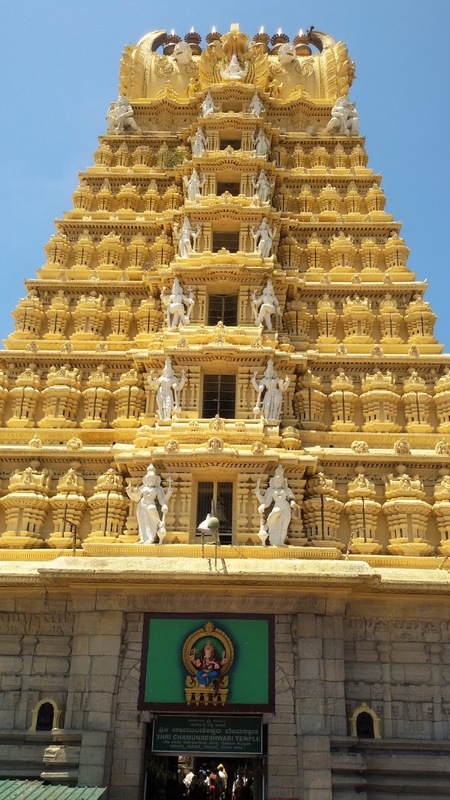 The seat of the Wodeyars, the house of the Chamundeshwari temple and of course, the masala dosa - Mysore is a blend of old and new, organised and clean - also - maybe, a city where there could be more palaces than malls! 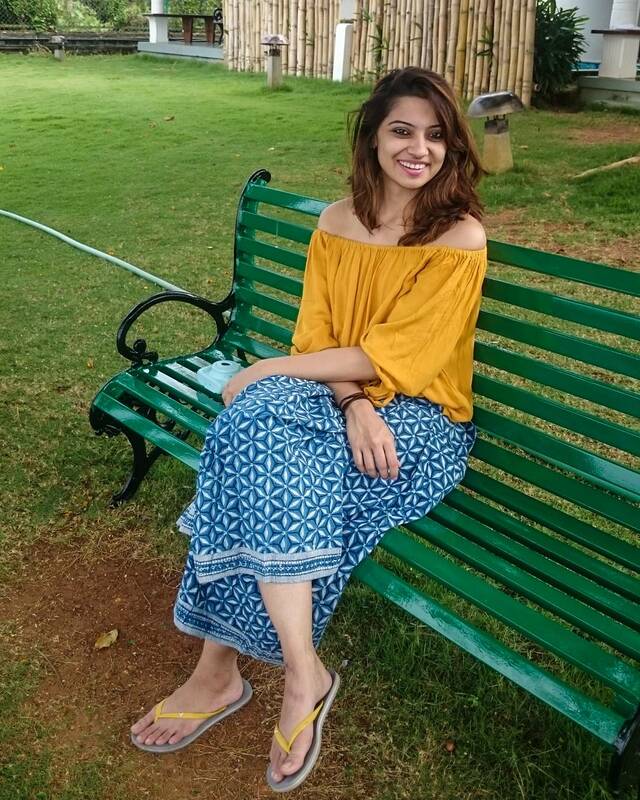 Mysore was recently voted as one of the cleanest cities in India, and must I add, in my opinion, also one of the most organised. 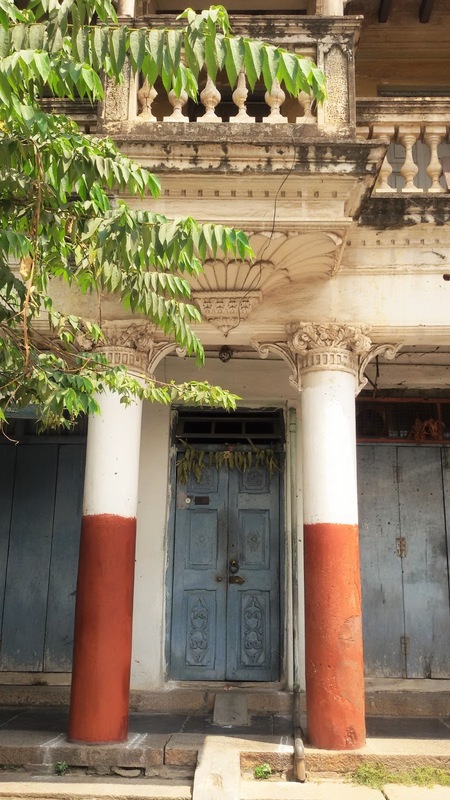 There's an old world charm lingering in many corners of the city. Sky scrapers are few and far in between, autos extort and occasionally, a building will remind you of Mysore's history. I walked around the small lanes, near Hotel Regaalis, where we stayed. The weather warranted a walk - a drizzle had just fallen. The lanes had a quiet aura, one that said 'Stay quiet' and 'Do not disturb'. Doors that seemed to agree with the aura, doors that hadn't changed even after generations of tenants and store owners exchanging hands. 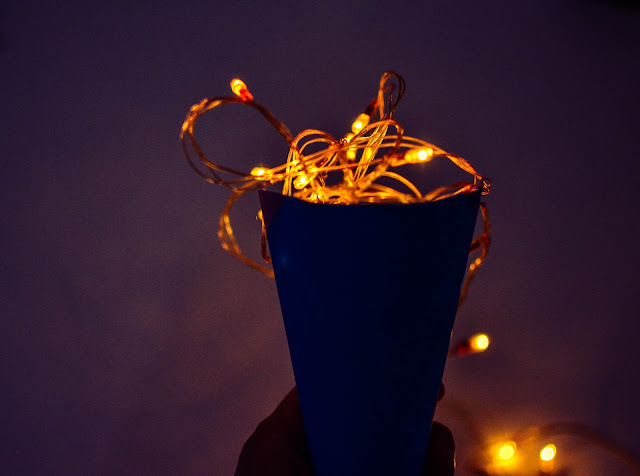 While walking, you'll suddenly come across sections on a main road, where a newspaperwala owns a small store, buying old newspapers, where small chalk rangolis are neatly drawn outside doors and where the buildings haven't been broken down, yet. Tulsi, or Tulasi, is considered by many Hindus to be a sacred plant, regarding it as an earthly manifestation of the goddess Tulsi, a consort of the Lord Vishnu. 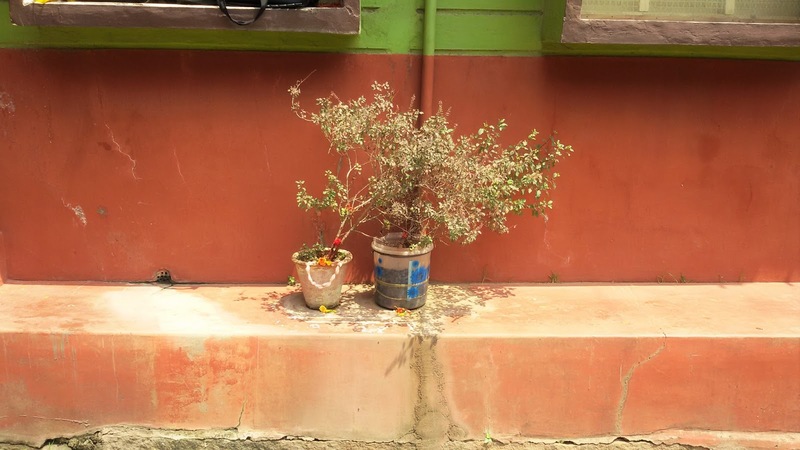 Amidst quiet and colourful houses in the inner lanes, I spotted this plant, almost like an oasis in a desert. After a walk that could go on for hours, of circling matrices of narrow lanes and quaint markets, we went to the Mysore main bus stand and caught a volvo for Chamundeshwari temple. We went on a Friday - and trust me - do not go on a Friday - or a public holiday. In fact one very smart auto guy told us there were a hundred steps till the top, so it's best we take his advice and take an auto as a bus will leave you at the bottom. We asked around a few locals, and thankfully went in a bus. 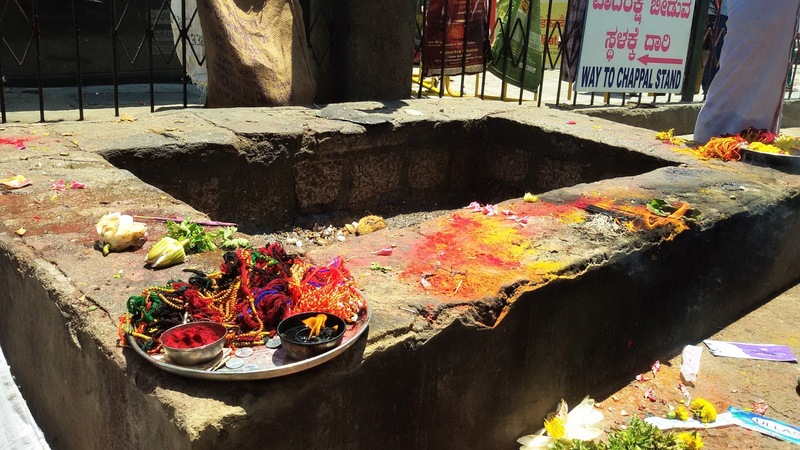 The Chamundeshwari temple is lively, with scores of people waiting to worship and tens of sellers with flowers and puja items. It was extremely hot, and my mom had started to give me looks. Note : Bus 201 takes you to Chamundi hills - last bay at the bus stand. The ticket costs around 25 INR. The tall and mighty temple. The queue was so long, we skipped it and decided not to enter the inner temple. But what I did not skip was watching the small rituals outside the temple. Worshipers feeding this cow and young kids taking blessings from him. 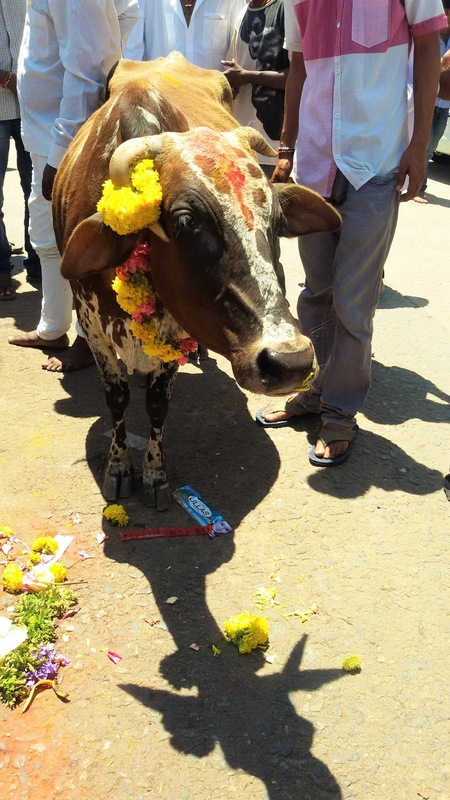 The cow is considered to be holy for the Hindus. This small rectangular well takes a hundred broken coconuts everyday, and if you stand for a while, you'll also see extremely shy kids, nudged by their mothers, to stand on the well and with all their night, throw their coconut. 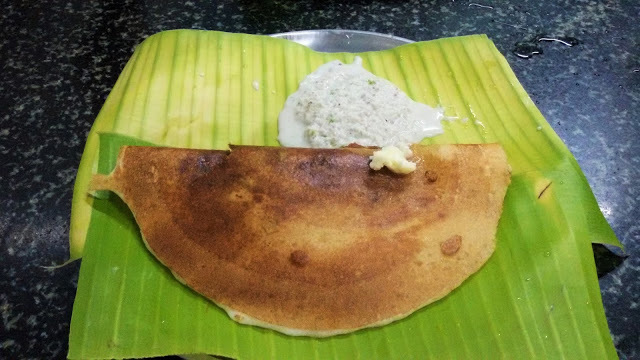 If you go to Mysore, do not leave without enjoying one of those Mysore Masala dosas. While the food at my hotel was incredible, for the truly local experience - visit the Vinayaka Mylari Hotel - it is a small inconspicuous hotel - and once you reach there - you'll be surprised it's so small - after all, hype builds grand expectations. The hotel doesn't serve much - but the what they do - is top class. The dosa costs 35 INR, and it's a must devour. Remember, Wednesday is a holiday. Also, try the Maddur Vada - it's delicious. 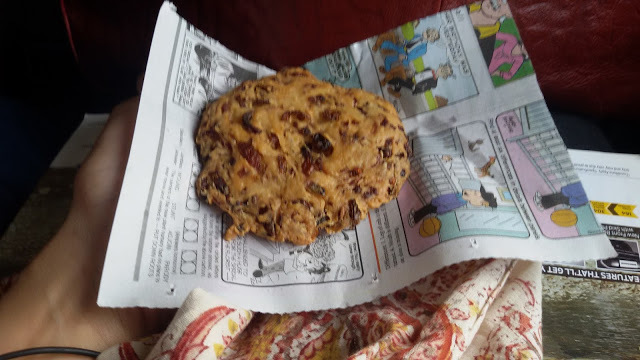 Looks like one large cookie - it's actually a Maddur vada - super delicious. You get to buy this on the train from Mysore to Bangalore - In fact there's a station named Maddur - and I guess that's how it got it's name. It's also widely available in Karnataka. 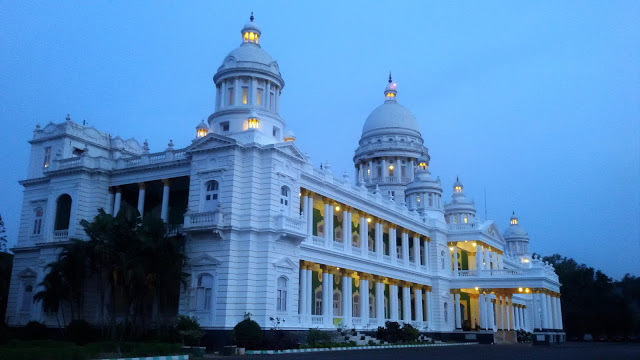 We also squeezed in some time to see the Lalitha Palace Hotel. True to it's name, it is grand and striking. However, some portions on the inside seemed to be dilapidated. 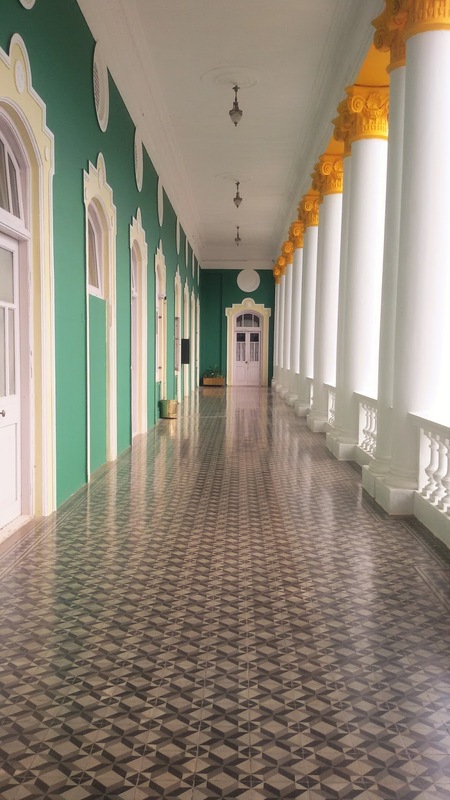 Colors of green and bright yellow give the palace it's royal look. Entry fee is 100 INR - which you can reimburse inside for some snacks. Is it a must go ? - No ! If you have time, you could check it out. I personally hope the management decides to put in some effort into the dilapidated spaces because the palace has so much scope. It can be converted into something even more beautiful - for both the public and private guests staying at the many rooms in the palace converted to a hotel. Outside the palace, behind the palace in fact, there's a green patch, and we saw a beautiful white horse standing there, almost seemed to be glowing in the last rays of the day. I was extremely delighted to stay at the Regaalis - a four star property. Food was great, the pool was clean and warm - with swaying coconut trees surrounding it giving a very Goa feel. But what I liked the most was the service. Super friendly and courteous. You can read the reviews here. 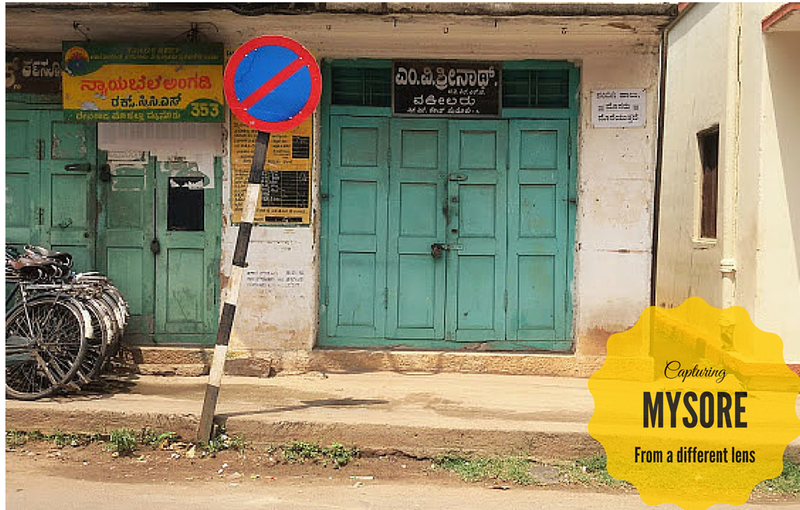 I also did a short walking tour of Devaraja Market, which also is a must go - you get to experience the real flavors and colors of Mysore. And of course the zoo, it's got plenty of giraffes (yaaay!) and the Mysore palace - which would mostly be the first item on your list of places to see. Very nice post, impressive photos, Loved it :) Incredible India.